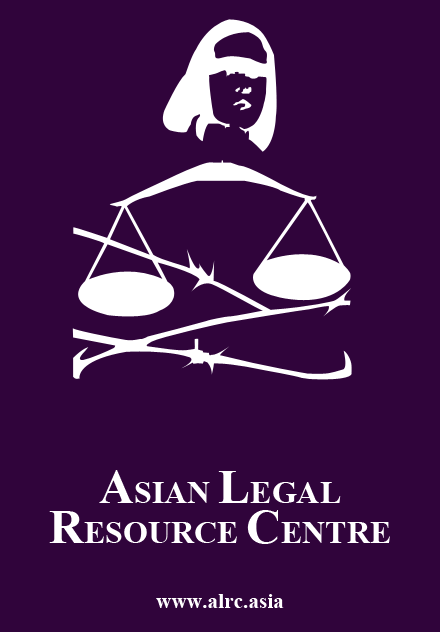 During the last 15 years the Asian Human Rights Commission and its sister organisation the Asian Legal Resource Centre have published many reports on the state of the legal system and the courts system of Burma. 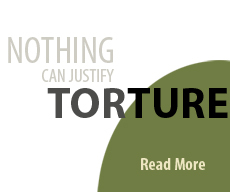 This new report is an addition to a long list of such publications. In essence, Burma’s legal system and the courts system are designed and maintained to protect the state. Both systems are completely opposed to the idea of the protection of the rights of the individual citizen. Thus, at the heart of the problem facing the people of Burma is that their legal system and the courts system are opposed to them. Naturally, there can be no democratisation without changing the very fundamentals of this legal system and the Courts system. 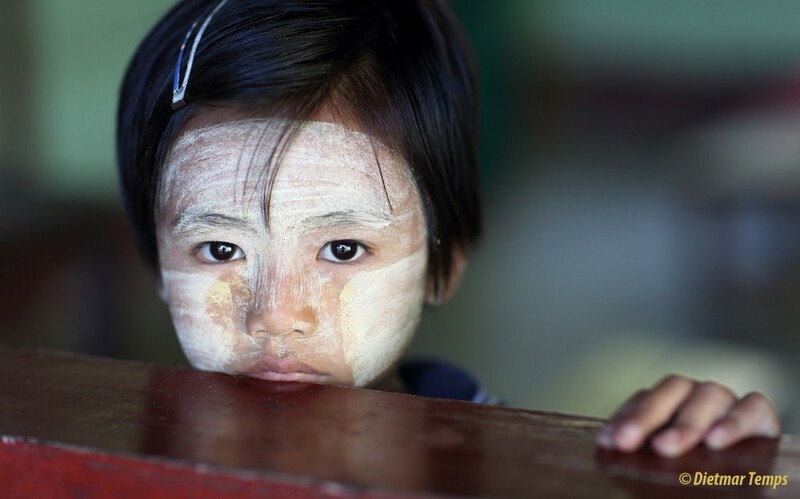 The recognition of the rights of all citizens of Burma as individuals should be in-built into its legal structure. Incompatibility of the legal structure of Burma with a political system based on democracy will not be erased merely by making new laws, purportedly based on the introduction of a democratic political structure into Burma. 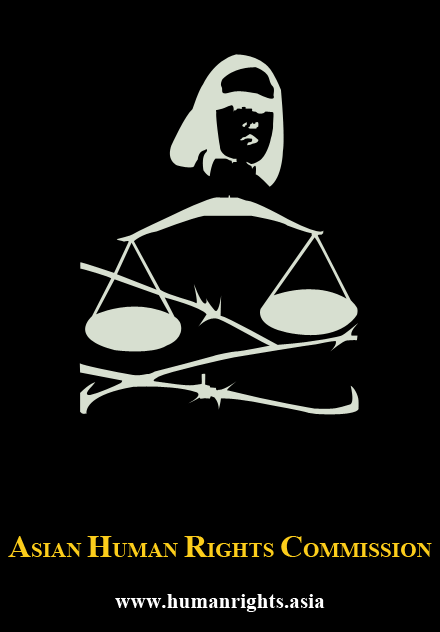 The legal structure, including the administration of justice in court is an integral part of the political structure as democracy is based on the doctrine of separation of powers. The legal structure as it stands now is completely opposed to the separation of powers. This legal structure is constructed on the basis of an executive alone, being regarded as the state. There is no recognition of a parliament and a judiciary as two separate branches which are independent and are not subordinated to the executive. Burma’s legal structure is completely subordinated to the executive. It follows the instructions and the guidelines for its actions given by the executive and supervised by the executive. Executive control of the legal system and the judiciary started in 1962 and continued consistently irrespective of various kinds of purported political changes that Burma is supposed to have undergone in the previous decades. None of these supposed changes have in any way limited the ‘executive control’ of the legal system and the court system. Fundamental change to the legal system and the court system as one that respects the rule of law and the democratic norm of the separation of powers could take place only when the executive abdicates or is made to abdicate the total control of law and justice in Burma. The test of this change is the effective recognition of the rights of all the individual citizens of Burma. As of now, a citizen of Burma can only be a defendant for instance, in a land case and can never be a plaintiff. If an individual citizen of Burma wishes to legally contest the occupation of land that this individual citizen claims to be his by someone else, there is no legal avenue for him to do so. This is a problem faced by thousands of the citizens of Burma in all parts of the country. In such a situation – as demonstrated by literally hundreds of cases – what happens is that, the illegal occupant will through the intervention of the police bring the one who claims to be the lawful owner to court, as a defendant. And the courts will invariably give its verdict against the person claiming to be the lawful owner by imposing a prison sentence on him. By this, the court system not only punishes the person claiming to be the lawful owner but also reconfirms the allegedly illegal occupant’s right to continue to occupy such land. The court order to imprison the claimant as a lawful owner in fact becomes the means by which illegal occupants’ allegedly claim title to the property. The dispute thus ends by silencing the claimant as a lawful owner and in fact it is a punishment for making such a claim. 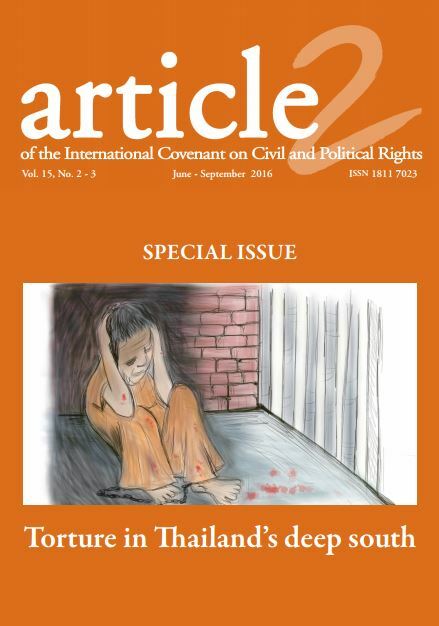 The situation of the law and the courts in Burma since 1962 has not received adequate attention internationally. The essentially illegal status of the courts has not been challenged even by the United Nations agencies. Everyone seems to act with a pious hope that Burma’s executive – controlled law and courts systems will act as if it is a rule of law system. This delusion is at the heart of the failure of international agencies including UN agencies to name Burma’s legal structure for what it is – as one that is completely controlled by the executive. It is on this basis that it can be claimed that as yet there had not been any advance in the promotion of the rights of the individuals in Burma despite claims of ushering in a period towards democratic reforms. That the opening of space for the parliament and holding of elections will by itself bring about the possibility of change for administration of justice in Burma has proved to be an illusion. The changes of a legal and a court structure must be consciously and deliberately made and it should not be consequential of the introduction of the space for the parliament. The rights of an individual citizen to go before a court and to challenge anyone else including any of the lawful authorities should be deliberately created. There needs to be a discourse on the development of legal remedies that will fundamentally alter the character of the court system as being completely under the control of the executive. By the development of legal remedies that individual citizens can resort to, the notion of separation of powers could be effectively introduced. However the introduction of such a possibility for creating legal remedies which will recognise the rights of individuals in Burma requires a complete overhauling of the court system. There would have to be a Supreme Court that has the capacity and the will to defend the separation of powers and the independence of the judiciary. Such a Supreme Court will become possible only when there are judges who have an extensive knowledge of the law and who also will not be punished by the executive if they assert their independence. Thus the creation of effective legal remedies for the protection of individual rights requires on the one hand the creation of a Supreme Court with capacity and powers and a change in the political culture where the executive will abdicate its predominant control over all aspects of the country’s legal structure. As much as there needs to be a change of the quality of the Supreme Court there also needs to be changes in the quality of judges at all levels. These judges need to see themselves not as servants of the executive but as members of a branch of government which is independent and equal in status to the executive. After a period of repression from 1962 even among the more liberal citizens there had been changes of mentalities formed by the habit of subservience to the executive. Long periods of repression always bring about such mentalities and this can be illustrated by examples from many other countries. This mentality of subservience survives even after the actual conditions which generated the abnormal powers of the executive have begun to be eroded and this mentality lags far behind the objective of effecting the changes. It is only by very conscious movements of the people themselves that such servile mentalities could be gradually abolished. The first step needs to take place among those more active in the civil society such as lawyers and others who are capable of grasping this complex reality and who want to make change. The capacity of these groups of persons should be cultivated with assistance from those who live in countries where separation of powers and the independence of the judiciary have become a quite a natural part of their way of life. Thus, the situation at present requires above all, a strong enough cultural exchange of those who are active in the legal and political fields in favour of democracy in Burma, with those in the outside world who have the traditions, conventions and the knowledge of the working of judicial institutions which are capable of protecting the rights of the individual. The core of this cultural exchange needs to be the rights of the individuals as against the draconian power of the executive. If this discourse can be effectively created and if more Burma lawyers, politicians and activists acquire the knowledge and the know-how of creating this change the day for ending the present structure of law and courts in Burma may not be far away. What is required at this moment is a commitment to create the intellectual depth required for such a change. This entry was posted in Basil Fernando, Burma/Myanmar, Sri Lanka, Volume 14, Volume 14 Number 2, Writers and tagged Basil Fernando. Bookmark the permalink.